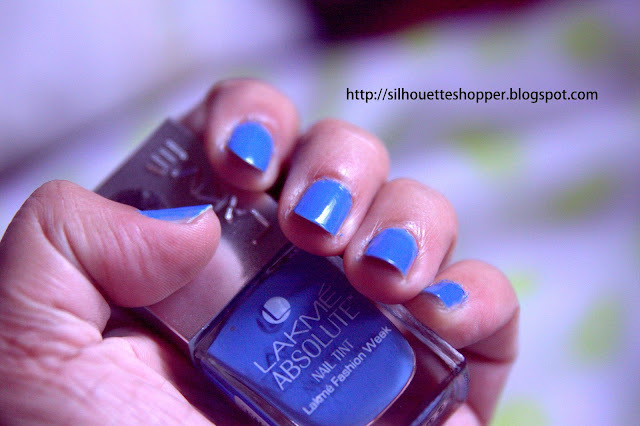 I bought few nail colors from recent launch from Lakme Absolute collection. Blue Breeze is cool and this is the one seen on ads by Kareena Kapoor. The color looks different under natural light and when photographed. I applied two coats to get this color on my nails. Single coat will be very light. This is a limited edition and have been priced at Rs 250.